This gold award-winning B&B is set in the heart of Wensleydale and the Yorkshire Dales National Park. 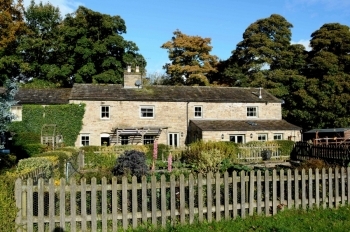 Thorney Mire Barn offers luxurious rooms with views of the Dales, home cooking and 4-acres of private woodland with home-grown produce and free-range eggs. Light and spacious rooms have free Wi-Fi and feature a flat-screen TV with DVD player, tea and coffee making facilities and an en suite bathroom with bathrobes, under-floor heating and luxury bathroom toiletries. The property’s south-facing garden has charming patio areas. There are 4 acres of woodland to explore which are home to free-range hens and to red squirrels. There are footpaths that take you on scenic country walks in all directions from the front door.